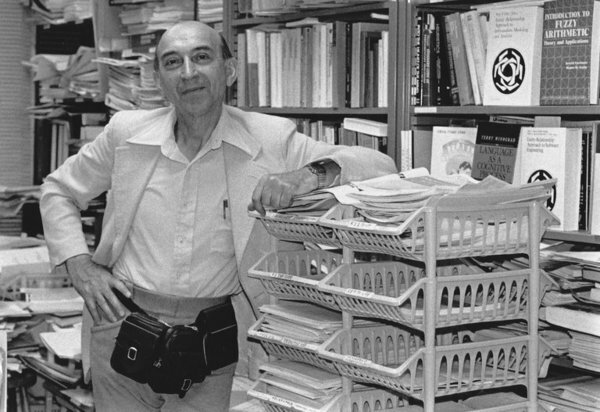 This past week, I lost a dear friend and colleague, Professor Lotfi Zadeh of UC Berkeley, who was the “father” of a branch of mathematics and engineering called fuzzy logic. I encourage you to read his obituary, which appeared in the NY Times. Lotfi is one of two men to have a major research institute named after him while still alive, the other being the physicist Max Planck. He was a true visionary, yet very humble and approachable. I first met him as a graduate student at UC San Diego, when he gave a seminar on fuzzy logic during its early years. I recall one occasion at a conference in NY on fuzzy logic, where Lotfi walked up to the white board and wrote a simple sentence to begin his talk: “If T is a theory, then T can be fuzzified.” Indeed, I have successfully applied this principle to many technical problems and system designs, going back to the early 1980’s. Lotfi developed this theory out of a desire to make computers able to reason more like humans do. His theory is arguably the most successful and general approach to what we now call artificial intelligence. Fuzzy logic has found applications in many real-world products. A new automobile today has well over 100 individual fuzzy logic components in its electronics. Video cameras use fuzzy logic to control the image jitter resulting from being hand-held. Washing machines use it to determine when and how much detergent to release into the basket. I am currently using it in systems for automated trading and for predictive analytics in macro-economic domains. In science, we stand on the shoulders of giants. Despite his diminutive appearance, Lotfi was one of these giants. R.I.P.